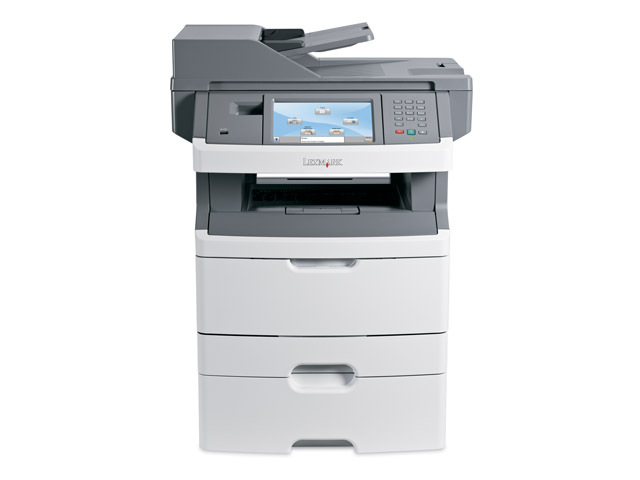 With its space-saving design, advanced features and built-in hard disk, the Lexmark X466dte MFP offers a great productivity boost to small and mid-sized workgroups. From network security to user- and function-access restrictions, Lexmark offers you a wide range of features to help protect your valuable data and ensure network security. In addition to IPSec, SNMPv3 and 802.11x network security, the Lexmark X466dte Series offers an alphanumeric pad for easy PIN authentication, plus encryption and disk wiping to secure your hard disk. Right out of the box, your Lexmark X466dte will power through your workload at exceptionally fast speeds – whether you’re scanning or faxing documents, copying spreadsheets or printing out important presentations. One person’s setback should not mean a bottleneck for the whole workgroup! Say someone launches a print job that requires labels, but none is loaded. Why lose precious uptime? Lexmark’s Job Waiting feature will simply hold that job aside while everyone else goes on working without interruption. 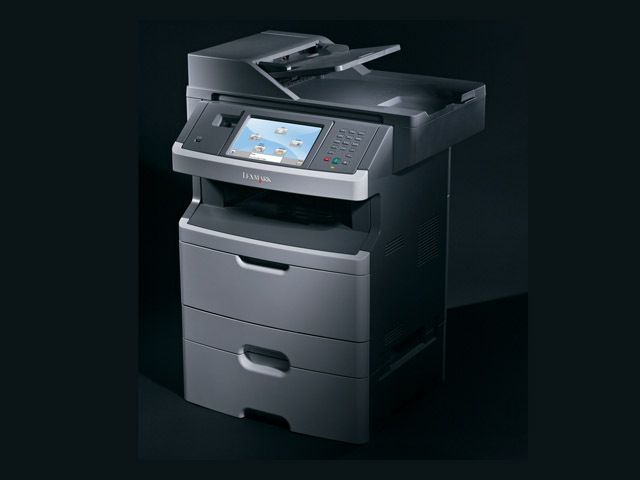 With its space-saving design, advanced features and built-in hard disk, the Lexmark X466dte MFP offers a great productivity boost to small and mid-sized workgroups. What’s more, it comes with a second paper drawer, so you can load different media types or simply boost your total input capacity for higher-volume print runs. Keep your office work flowing smoothly and cost-efficiently with intelligent workflow tools, such as Job Waiting. And tailor your device with one or several of Lexmark’s industry-leading solutions. When you email a large file from your Lexmark X466dte, it won’t cause a traffic jam on your network. That’s because traffic-shaping technology can partition your network traffic and designate lower bandwidth for outbound flows. This is useful for busy networks and externally hosted Web servers, and especially Wide Area Networks (WAN). 인치 - H x W x D): 26.6 x 19.2 x 17.2 in.